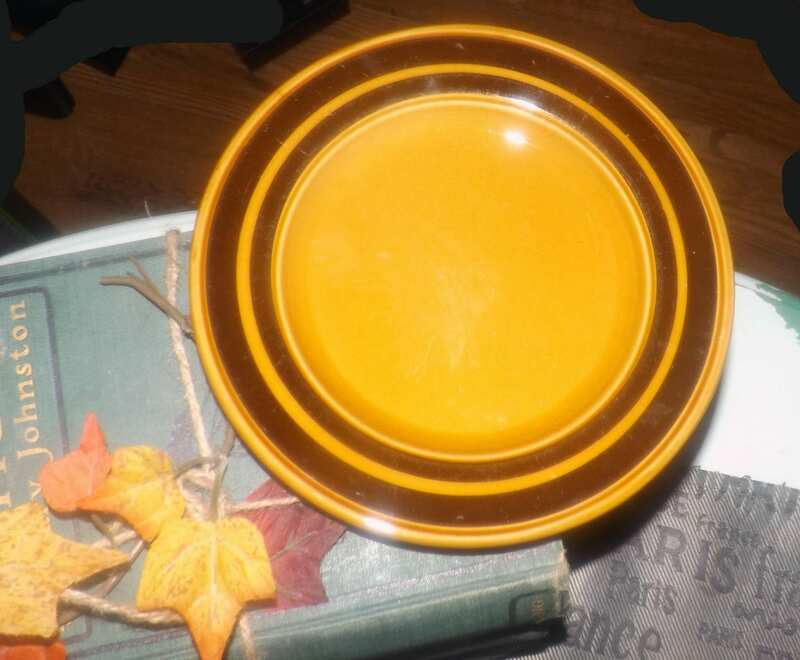 Vintage (1970s) Royal Alma | Kiln Craft luncheon | breakfast plate. Caramel ground, dark brown bands. Made in England. Hard to find. 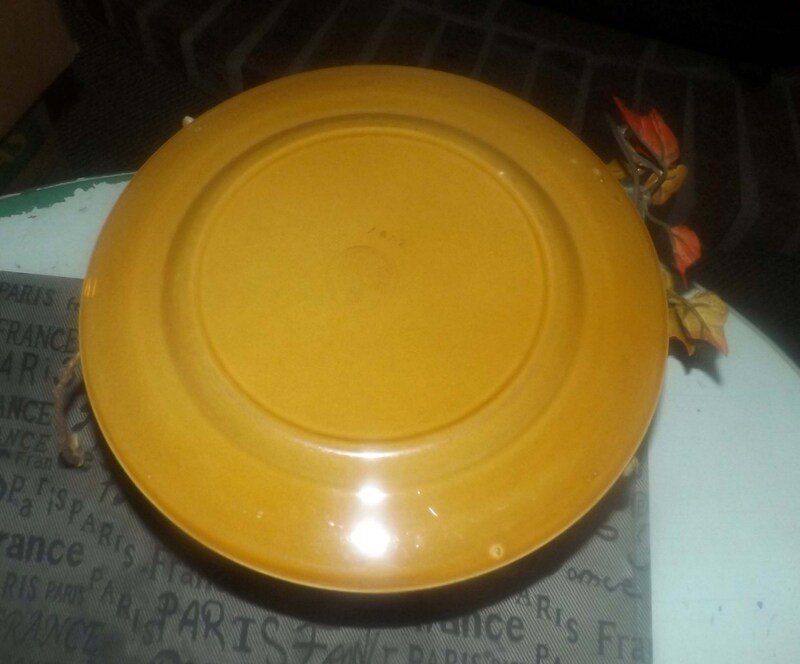 Vintage (1970s) and very hard to find Royal Alma | Kiln Craft luncheon or breakfast plate. Caramel ground with dark brown bands. In VERY GOOD! vintage condition with NO! chips, nicks, cracks or fleabites, NO! crazing and NO! stains. 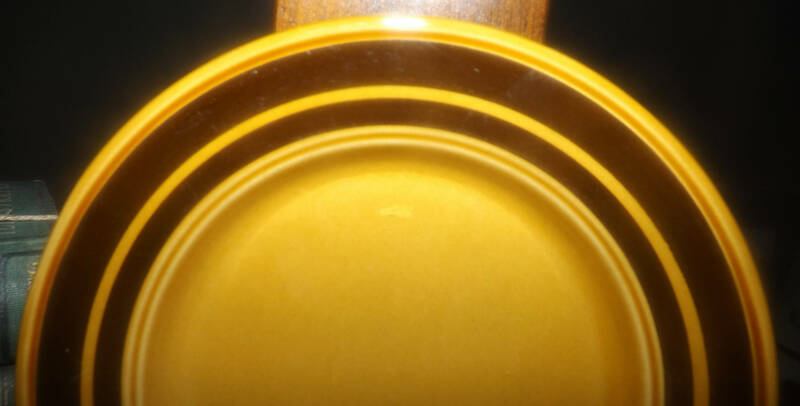 There are, however, several utensil marks to the plate surface, noticeably primarily upon up-close inspection of the plate under bright light (please review each of the posted photos for a complete visual of the item). Approximate measurements: 9-1/2" in diameter (measured edge to edge across the front of the plate) with a coupe shape and smooth, unadorned edge.